Medium Duty Edge Protectors - .160" Thick, 2 x 2 x 36"
Medium Duty Edge Protectors - .160" Thick, 2 x 2 x 48"
Medium Duty Edge Protectors - .160" Thick, 3 x 3 x 36"
Medium Duty Edge Protectors - .160" Thick, 3 x 3 x 48"
Light Duty Edge Protectors - .120" Thick, 2 x 2 x 18"
Light Duty Edge Protectors - .120" Thick, 2 x 2 x 24"
Light Duty Edge Protectors - .120" Thick, 2 x 2 x 30"
Light Duty Edge Protectors - .120" Thick, 2 x 2 x 36"
Light Duty Edge Protectors - .120" Thick, 2 x 2 x 40"
Light Duty Edge Protectors - .120" Thick, 2 x 2 x 48"
Light Duty Edge Protectors - .120" Thick, 2 x 2 x 60"
It takes a lot of time, effort and dedication to run a warehouse, doesn’t it? You’ve got to manage people, track customer orders, stock packing supplies and plenty of other responsibilities to handle. It can be easy to let some things go to the wayside, even if they’re just as important as everything else. That’s why the warehouse supplies category is ready and waiting for you. It’s full of the small but important items your business and its warehouse needs to stay running smoothly and efficiently. After all, to paraphrase a quote that everyone’s familiar with, it’s the small things that count. Let’s get down to business, shall we? General protection is important, starting with gloves. Whether it’s basic cleaning, handling of chemicals or dispensing pharmaceuticals, your digits will be well covered. Storage and organization are a cornerstone of a well-oiled warehouse, meaning bins and totes will help keep parts, equipment and customer orders in central places, ready and raring to go when needed. Cable ties are essential for securing equipment, grouping parts and components, and color coding warehouse areas or processes. It can be a big, involved job to complete, and that’s why cable tie guns can help speed things up. Just like dispensers for tape or bubble cushion, they help save time and reduce potential wasting of supplies. There’s no denying that managing warehouses and all the activities within is a big job. Thankfully, the right planning and right selection of supplies can go a long way towards making things easier. Whether you need protection like gloves, storage like totes, or items like cable ties and cable tie guns for multiple projects, this category has you covered. Don’t forget, we aren’t just your e-commerce partner. 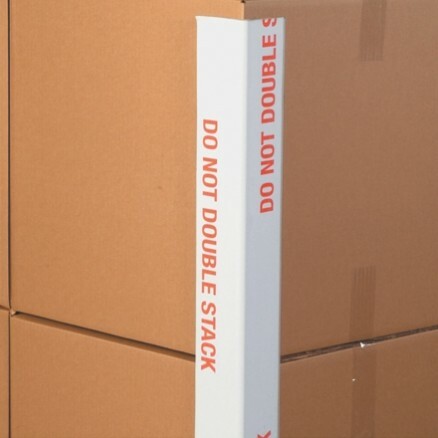 You’ll find the warehouse supplies your business needs right here at The Packaging Company.